How much is Jeff Garlin Worth? Jeff Garlin net worth and salary: Jeff Garlin is an American stand-up comedian, actor, voice artist, director, writer and author who has a net worth of $12 million. 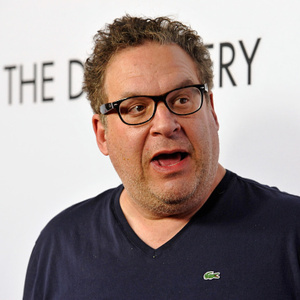 Jeff Garlin is probably most famous for playing the role of agent Jeff Greene on the HBO show Curb Your Enthusiasm. Garlin was born in Chicago, Illinois on June 5, 1962. He got his first taste of the acting bug from his mother, who was very active in their local community theater program. In addition to his work on Curb, Garlin has appeared in dozens of television shows and movies during his career. 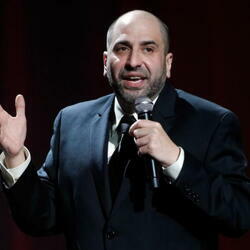 He also hosts a popular podcast on the Earwolf network called "By The Way, In Conversation with Jeff Garlin". The podcast is recorded live twice a month at the Largo theater in Los Angeles. Outside of acting, Jeff is very involved in standup and sketch comedy. He makes frequently live appearances around the country. In 2013, Jeff began starring in the ABC sitcom The Goldbergs. The Goldbergs has aired over 100 episodes across five seasons with a sixth season launching in September 2018. Jeff Garlin married Marla Beth Cahan in 1994. They have two adult sons together. Jeff and Marla announced they were divorcing after 24 years of marriage in September 2018. How Much Can You Make Behind The Scenes in Hollywood?